Yes, i can confirm. Because of owning a Serpent SCT 2WD Short Course for stock racing, i tryed this body on my Tekno 410.3. It is very lightweight, fits perfekt (changing the body posts necessary) and has a lot of space for the wheels when suspension is compressed. I have got two Ford bodys to use, but after that i will only use the serpent body. , it is the nearly total white one, on 3. place in the 1. round. Thanks my order list sc body. as far as bodies go, i'm very happy to see that snow designs (FTW) diamondbacks are available again. this has become my absolute favorite sc body so far. thankfully pete usually has them in stock. I have FTW diamond body in my tekno but its rubbing the fender front and rear tire so i need diffenrent body. I have also JC concept flowtek. Not to dismiss any of what these guys are telling you, but I would advise you to tune physical first and foremost long before ever having touched your transmitter settings or even your stock shocks. While your shock setup is a true ticket buster, and are every bit if not more important than most of the things you will do regarding your best overall ride handling. I would consider starting somewhere else completely first and foremost. Your truck sounds to locked for your experience level on the surface your running on from how your explaining it. Not getting much planted traction over all. Again, as a rule of thumb you should stay away from fixing things digitally such as expo, servo/throttle response or decreasing end point travel until you get the root problems fixed. Once you do a few things and only then would I suggest you start to play with the radio settings to fine tune things out in very small increments. If you do it the other way around, you are going to end up making large corrective adjustments that will end up limiting your throws and transition speeds more than should be needed to act as nothing more than a band-aid fix that will leave a lot to be desired in the end with a hindered chassis that lost it's snazzy moves. Also, one of the most important factors you didn't mention is what tires (& compound dexterity) you are running and on what surface? Those are the two major factors IMO that determine 85% of your optimal settings, no matter what! The other 15% being your power band and jump types that determine pack rates needed. So hold on to your socks, for this book! Generally as a starting vehicle, I feel the Tekno is a bit rigid for new racers, especially those that have big power like you do with that 4500. The SCTE is generally an easier platform for really new driver. But its not at all because the losi is better in any way past arguably weight...? What is actually the case is the settings are much softer out of box stock configuration. What TLR chose to do is also what I recommend to you as well regarding your initial setup. I suggest you highly consider loosening up the diffs. If your running on a dusty hard pack or loose loam surface like it sounds, then you will majorly benefit by reducing center and rear diff oil weights a whole weight click down. Stock setup in front to rear calls for an aggressive 7k-7k-5k. This is great if you are running on more groomed and ideal surfaces with a bit of experience under your belt. But until you get used to this class of vehicle with the raw power you have coming out of that SMC can, you will most likely need to start lower and come back up in small steps at a time, right from the get go! If you drop your diff oil to 7-5-3 front to rear, it will really loosen up your handling rigidity, so you aren't over driving your truck with all that power band. As you may have noticed I don't recommend you change your front diff weight from the stock 7k. My reasoning is due to the geometry of the stock ackerman positioning on the tekno. The SCTE for example comes with a very long drag link stock. It has much more ackerman effect as the outside wheel turns in significantly less than the inner tire does at full throw. This is a setup that is very responsive down the straights and likes a careful driver who comes into a turn steep, lets off throttle (mostly) to coast out the sharpest and largest section of the turn and then hammers on the power as things straiten back out for a blitzing exit. While a long ackerman does like to pull its self straight with power if you get in trouble, the flip side is it absolutely hates "power-on" applied when entering and throughout the middle of turns. Lots of ackerman naturally wants to pull it's self straight on-power and leave the rearend inline behind it. That is why the stock SCTE runs lighter 5k front diff oil in their stock kit suggested format. Lighter front and/or rear diff oil really helps transfer more energy to the inside (light) tire with the least amount of drive force going into the planted outer (heavy) wheel around a turn. This hugely helps the outer tire stay planted while the inertial chassis roll its weighing down on top of it steadily as it corners. It promotes side bite to stay firmly engaged to further help guild the path along in the roll out coasting path. If it where heavier oils in the front diff with a long ackerman, the effects would start to be counter productive as the outer wheel would have increased drag coefficient creating a "push effect" that would throw you to the outside of the turn by reducing effective diff slip/coast. While this setup is generally loads easier to drive for someone new, this is an issue on the more common smaller and or more technical tracks most of us run on outside of 1/8 buggy tracks, and it causes much more grief where less ackerman and more steady power-on transitions would definitely pull it's self through a chicane or any narrow negotiation more quickly and efficiently. This is exactly why I quickly chose to install a short drag link on my SCTE, so it would reduce ackerman and give me more turning prowess while I am on the throttle almost completely around a turn. With that being said, I had to raise my front diff oil to 7k from 5 in order to get the full effect of having less ackerman. I no longer wanted the stability features of the long link and the benefit of a slipping outer drive wheel. Now with more outer turn radius, and more outer wheel drive, I could easily and forcefully dig my way around a curve with power!. Fortunately the 410.3 comes stock with all this considered and has less ackerman effect stock and heavier oil to boot. So it demands you to drive it smooth and on-power to get the most out of it. If you are running the common 15t pinion, I'd suggest adding a 16t, and a 17t pinion to your arsenal ASAP. While it sounds sort of counter intuitive to run a taller faster gear set, it's not about top speeds but smoothness of transition. Top end can easily be limited via Tx endpoint later if need be once you've found an optimal pinion. I personally think the gearing factor is one of the most poorly misunderstood functions of all. What your after here is more about optimizing your under load torque response in and across the power band. Think of it as a slight servo speed reduction with a touch of softer expo. But in this case with your motor, and more importantly to tune the way your tire contact patch initiates torque in a "physical viscous way" that will act similar in response to a properly tuned slipper clutch with a tad bit of exponential as RPM grows centrifugal mass in a non linear but climbing way to top speed. This is exactly what is harmonized within spring stiffness and over all amount of rotation degree the rear end is allowed as done with real race and drag cars utilizing 4 link suspensions. Doesn't matter how much power you have unless you can apply to the road as consistently as possible. To quick and "instant" a power delivery to the tire will only yield a rad burn out and blow your chance to a smooth ride. With electric RC in mind, you will need to have at least 3 different sized pinions to get the most out of this over different surfaces. Again, once you have found the best gear ratio without having much reductions dialed into your remote, you can then use the transmitters throttle transition settings to really fine tune it out. Being said, obviously you don't want to over heat your setup, so be sure to temp things when you play with gears and start with 0 timing and 0 punch until you know your limits. Do yourself a favor and try what I have said in this order. You will instantly have an easier handling ride with a better understanding of adjusting it upward from here on, instead of the old classic back and forth confusion that many of us had to learn the hard way! So I'm gonna start racing on a tight indoor carpet track this winter and during practice today the truck kept rolling over through turns. I have the front as low as it can go (25 mm) and the sway bars are set all the way out (stock setup). What do you guys recommend I do? I'm fairly new when it comes to tuning a suspension. BTW my setup is stock and I'm running pinpoint tires. You are getting to much side bite. There are multiple approaches you can take to get rid of some of this. 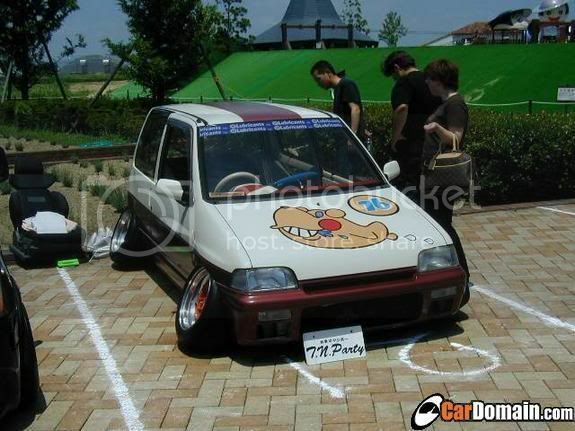 You can increase the negative camber for starters. But you will want to run more that you normally would on dirt tracks. Another method to consider is to sand down the outside tread on the tires. You can do this by holding the throttle down about 25-30% while lightly holding some rough grit sand paper against it. It's a make shift lathe is what your after by doing it this way. The more balanced and true the tire is when spinning, the better the results will be, so don't over speed and balloon them out when trimming. I would first adjust the camber in a couple degrees, then run it. See if the back or front is more grippy than the other. You will want to go as low on chassis clearance as you can. Some carpet tracks have jumps, some don't. But you will still want the least amount of clearance you can get by lowering it as much as you can get away with. Past that you can adjust the ackerman plate. You might want to give it more ackerman effect to reduce the outside wheel turn in. So you need to make the acherman longer in swing. This will give you better off power handling and will help prevent roll overs at the same time. You will obviously have to approach turns differently that you would on dirt. The sway bars are another thing you can adjust a bit stiffer, possibly to the rear more than the front by simply sliding them deeper into the collars. Only after you have the best results you can get with the setup procedure, then you should finally work down some the outside tread by sanding it away. There is no one thing that anyone is going to be able to tell you unless they run this track personally, so your going to have to mess around with all this stuff. Stand the shocks up on the tower. This will reduce side bite. Thanks guys, next week I'll definitely try your suggestions and see what works best. As far as getting my truck lower, what springs would you guys recommend. The track does have 3 jumps if that makes a difference. I was thinking pinks front and back. Sanding down pins would work... Or a slightly different tire if you can swing it. When my dirt track gets a bit muddy, they lay down carpets in the corners, and I inevitably have to switch to a bigger lug pin so as not to "snag" and cause traction rolls. But I would leave that as a last resort since if the tire you have are giving you good traction elsewhere, I would try and stick with them. Two things that will definitely help in any situation: 1) Slowing down more/ braking harder just before steering (I guess a no brainer) and 2) Lowering the height of the CG during the roll. But beware, lowering overall ride height might not do much here... Reducing the DROOP is a lot more effective. In fact, if you have very little droop, then the CG will go DOWN the more the car rolls. 1- Very early at the start of a high speed corner. This is due to very sudden weight transfer to the outside. The horizontal momentum of the CG is very high and then stops suddenly when the outside shock resists. This "deceleration" of the roll creates the sudden force that is enough to roll the car right over. To prevent this, you can try giving the car more roll to slow down the wright transfer. Do this by softer springs (but this has a lot of other secondary effects) or by lowering roll center. This effectively slows down the removal of weight from the inside tire, slowing down of the weight transfer to the outside, and minimizing the sudden rollover force. 2 - mid to end corner traction rolling. If the car rolls over later in the turn, after the suspension has taken a set, then it has nothing to do with speed of weight transfer. All you can do here is go slower and lower the CG as mentioned in the 1st paragraph. best. As far as getting my truck lower, what springs would you guys recommend. The track does have 3 jumps if that makes a difference. I was thinking pinks front and back. short answer. ..yellow front/orange rear. Tighten your front sway bar and ride height to 24 fr/23 rr. if the springs are new you could put them on a vise and leave them half compress for 5/6 hours that will help break in the springs. Most traction rolls are from too soft of front suspension and or too much droop on rear. I have a carpet setup from my SCT410 V1 days. it may give you a good starting point. Shoot me a pm with your email address. Little update with my .3 troubles with traction. Took out some anti squat in the rear as suggested to help with nose down issue think it helped a little. Rear link one hole on the hub longer. Added more rear toe, currently D block single dot down and out. Handles like a champ now. I could run down people through the turns but I need more experience as I am just too inconsistent from lap to lap. Other than that running stock setup. I've read through a lot of this thread and I'd like to thank everyone for their helpful tips. I just got my 410.3 fired up last night and I noticed it seems a lot noisier than my other cars( 2 sc10 FTs) is that a byproduct of the coarser pitched gears or something else? My other trucks use 48p gears. Also, when indidivually spinning my wheels on the work stand, spinning individual tires produces noticeable spin in the other three tires except when I spin the right rear individually it barely spins the other three. Thoughts? Also, what does one do when the truck steers much tighter and sharper to the right than the left? What needs to be adjusted? Check your steering end points on the radio. You may not be getting full through from right.